Amador Community Foundation pays attention to the community and invests in needs as they arise, so the Diamond-Price Fund is helping where it is needed most. Bill and Candace support a variety of local charitable organizations, and wished to streamline the process, so they set up a Field of Interest fund through Amador Community Foundation. They prioritized their giving goals toward community, environment, and wildlife, and with automatic monthly bank withdrawals, 100% of their contributions are made seamlessly, as needs arise, to those who need it most. 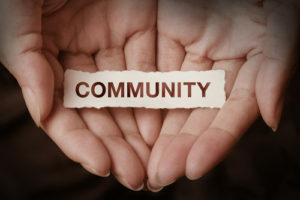 “The Amador Community Foundation provides us an effective means of supporting a variety of local charitable organizations. We are confident that our donations are distributed in accordance with our priorities. The Board and staff are knowledgeable about many local needs and programs. End of year reports are timely, providing complete documentation for tax purposes. 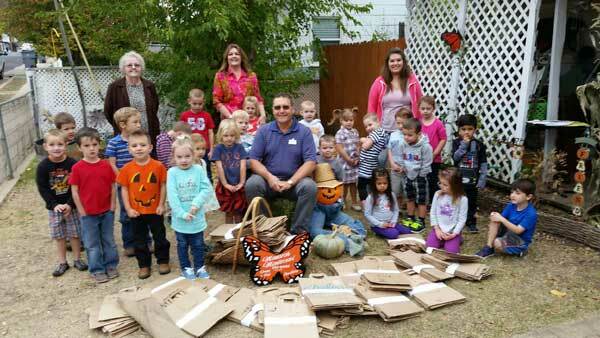 Monarch Montessori School Collecting paper bags for the Interfaith Food Bank.